The EMU Australia Shoreline Leather Lo is a waterproof boot for women, featuring luxurious 100% real Australian sheepskin lining and cuff and waterproof suede upper. 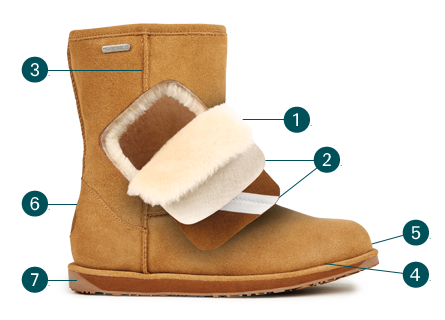 These boots are a constructed fit that will feel firm initially, but mold to your feet as you wear them for the ultimate in comfy cool. 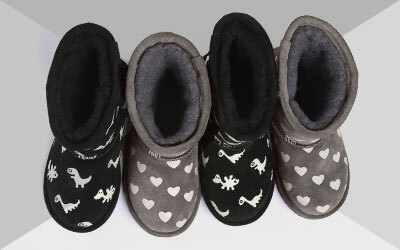 Engineered to take on winter without compromising comfort and style. Available in black, gray and tan. The sturdy Shoreline Leather Lo for women is a waterproof lace-up boot available in Oak tan, Charcoal gray and Black that’s perfect for weekend wanders. Featuring waxed laces, waterproof tanned pull up leather, soft 100% real Australian sheepskin lining and cuff, this boot for ladies is a real all-rounder. 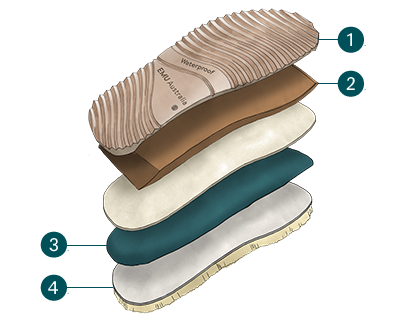 Built on a waterproof, durable rubber outsole, the anatomically correct removable sheepskin insole delivers comfort and support, while the EVA midsole offers cushioning and shock absorption.The outsoles have traction and grip, making them ideal for icy, cold and wet winter weather. Our sheepskin is very breathable, so the Shoreline Leather Lo sheepskin boot can also be worn during warmer summer months as they keep feet cool.